Lewis Hamilton snatched pole from teammate Nico Rosberg in a tense qualifying battle for the Spanish Grand Prix. Rosberg and Hamilton shared fastest times in Q1 and Q2, and Rosberg struck the first blow in Q3 after Hamilton catastrophically locked up at the beginning of the session. The deficit stood at eight-tenths of a second with Max Verstappen’s unlikely Red Bull between the two Silver Arrows. Come the first sector of the second runs, however, and it became immediately obvious that the reigning world champion was on a hot lap — tenths of a second tumbled until Hamilton put himself on pole. Hamilton also suggested reliability troubles behind Rosberg’s pole-winning performances, making Spain a return to business as usual in the intra-team qualifying battle. 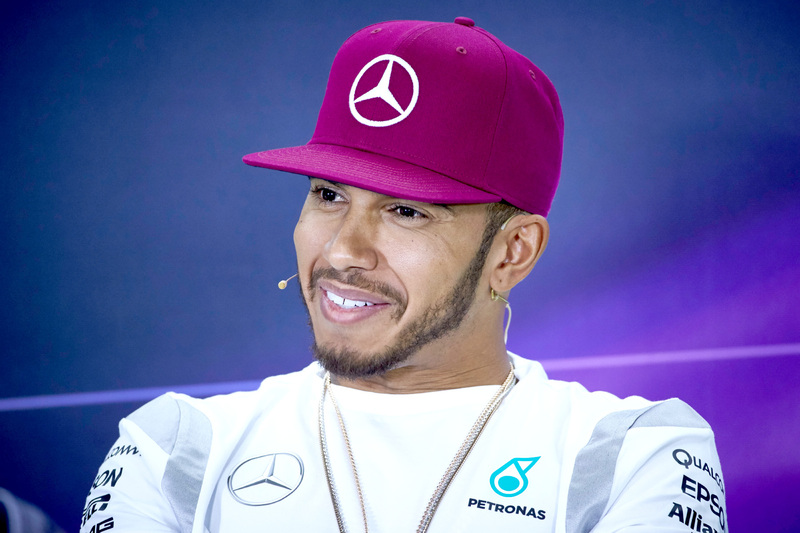 “For sure I’m disappointed to be second — I wanted to be first — but Lewis was quicker in qualifying today, and that’s it. Fortunately it’s the race that counts,” he said sharply. But the fight for third was the most enthralling of all, with Daniel Ricciardo battling against Max Verstappen for intra-team supremacy on his new teammate’s first weekend at Red Bull Racing. Though Verstappen insisted all weekend that the pressure was off in Spain as he adjusted to the car, the teenager beat Ricciardo in Q1 and Q2 — by almost half a second in the latter session — putting his senior teammate under pressure. Ricciardo needed a second run in Q2 to ensure his spot in the top 10, meaning he would have just one lap to answer Verstappen’s two attempts, the first of which slot him into the gap between Rosberg and Hamilton. The Australian delivered, turning the tables with a sizzling final lap to best Verstappen’s second lap by four-tenths of a second. Better than the fight with his teammate, though, was that Red Bull Racing was able to beat both Ferraris to be the closest challenger to Mercedes around the demanding Circuit de Barcelona-Catalunya. Kimi Räikkönen led Sebastian Vettel in fifth and sixth, 1.1 and 1.3 seconds off the headline pace after Ferrari hoped to contest pole position in Spain. The team is under the added pressure of having chairman and now CEO Sergio Marchionne in the paddock after earlier telling the press that he expected his team to start winning from this weekend’s race. Team principal Maurizio Arrivabene, visibly shocked after the session, told Sky Sports his team’s lack of pace was inexplicable. “Something went wrong for both drivers,” he said. “We need to check now what’s happened. Compared to both Mercedes cars, which gained around a second between free practice three and qualifying, Vettel’s quickest FP3 time was bettered by only one-tenth by Räikkönen in Q3. Valtteri Bottas was two-tenths behind the Ferrari cars and one-tenth ahead of crowd favourite Carlos Sainz in his Toro Rosso. Sergio Perez’s heavily upgraded Force India was good enough for only ninth and two tenths ahead of Fernando Alonso in McLaren-Honda’s first top=10 qualification since its reunion last season. Formula One 2016’s competitive midfield was again on display around the circuit the sport and its drivers know intimately, with just six-tenths of a second separating the drivers eliminated in Q2. And for the first time since McLaren’s renewed partnership with Honda one of its cars didn’t feature in the list of cars knocked out after the first two sessions, with Fernando Alonso pipping Nico Hülkenberg by one-hundredth of a second for his first Q3 berth since 2014. Hülkenberg was again shaded by teammate Perez, who was able to put his B-spec Force India into the top 10 while the German made do with P11 and one-tenth ahead of Jenson Button. Daniil Kvyat did poorly in his first race out for Toro Rosso this season by giving three-tenths away to his Q3-bound teammate to qualify thirteenth, ahead of only Haas’s Romain Grosjean and Esteban Gutierrez in P14 and P16, sandwiching Renault’s Kevin Magnussen. The opening session of qualifying alluded to how tight the rest of the afternoon would be when the final times spread the field across just 2.9 seconds. Only the regular top-10 finishers felt confident after their first runs to sit in the garage during the final flurry of laps, the bottom 12 cars were all at risk of elimination, ultimately being separated by less than 1.5 seconds. The gap from P16 to the first driver eliminated in P17 was two-tenths of a second, and Jolyon Palmer was the unlucky first man knocked out when a late improvement by Button pushed him into the drop zone without time to respond. But Felipe Massa was the biggest loser when Williams mistimed his final run after his first was affected by traffic, leaving him exposed to a high-profile Q1 exit in P18. Behind him the usual suspects of Sauber’s Marcus Ericsson and Felipe Nasr and Manor’s Pascal Wehrlein and Rio Haryanto squabbled over seven-tenths of a second at the back of the grid.